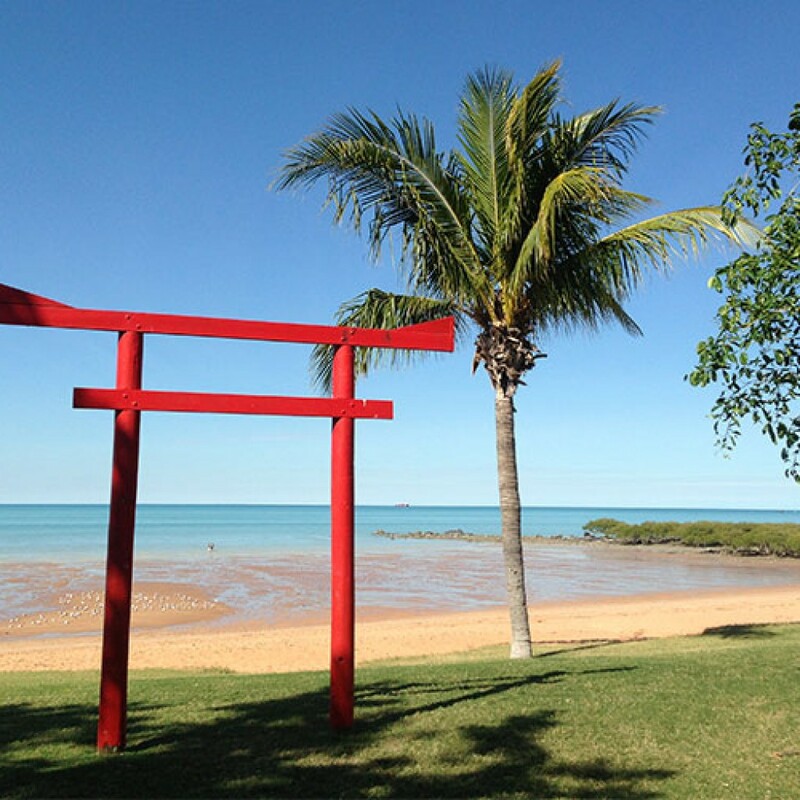 See the highlights and history of Broome. 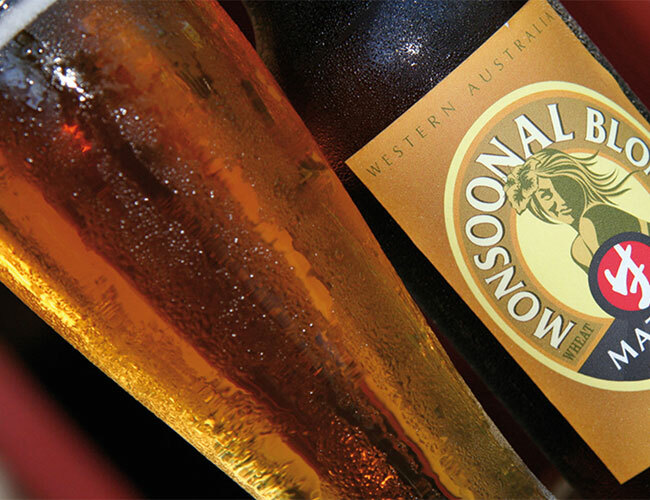 Learn about the outback town’s unique heritage and current colourful alfresco lifestyle and relax with a glass of sparkling and a delightful Cable Beach sunset at the end of the day (with an optional Sunset Camel Ride). 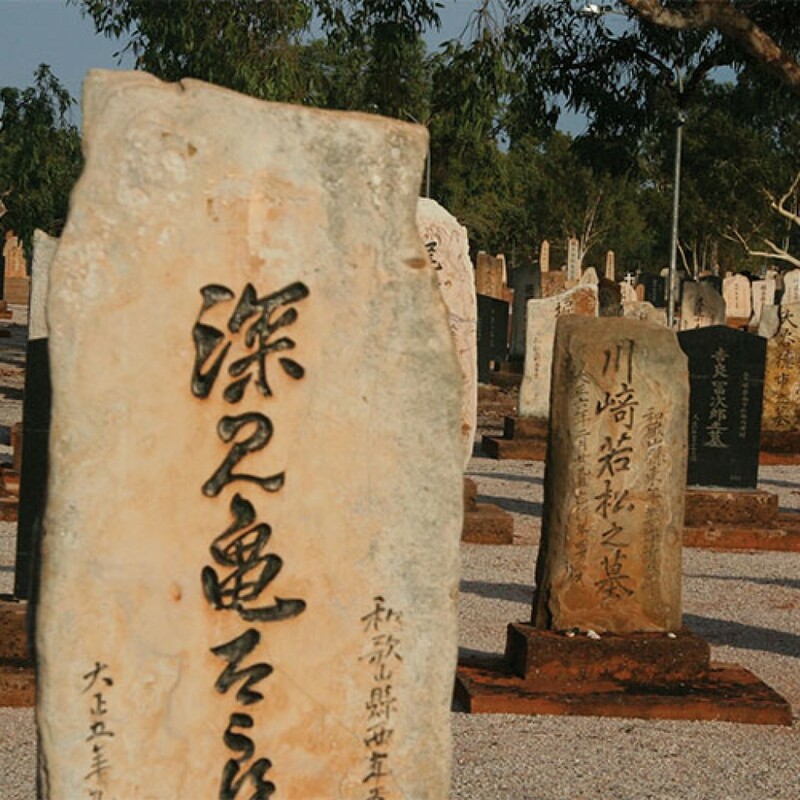 Enjoying a full commentary, we begin in Chinatown hearing fascinating stories of this colourful precinct. 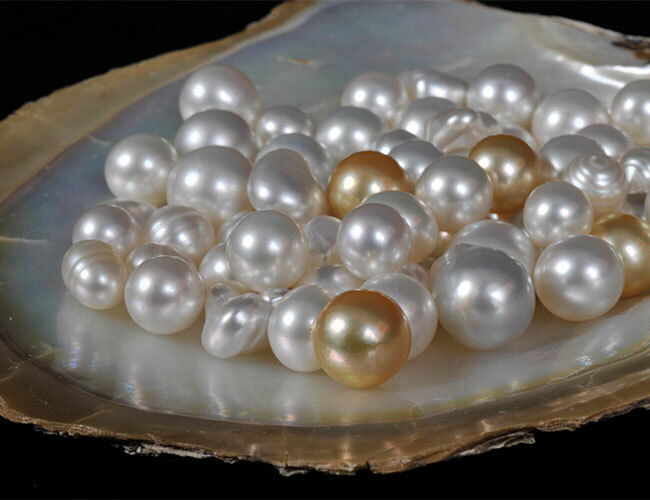 Learn about the ancient art of pearling from one of the local pearl producers, Cygnet Bay, and enjoy a historical sound show at the famous Sun Pictures, the worlds oldest operating open air picture garden (now listed in the Guinness World Records). 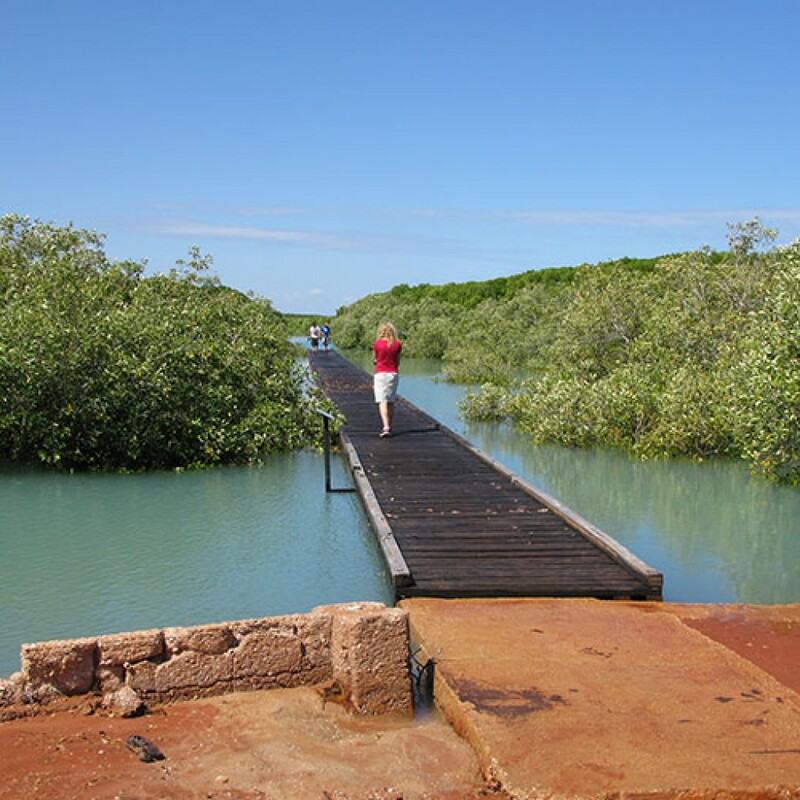 We take a drive through Old Broome to view typical Broome architecture and old Pearling Masters homes then view the aqua waters of Roebuck Bay at Town Beach and learn of Broome’s One Day War. 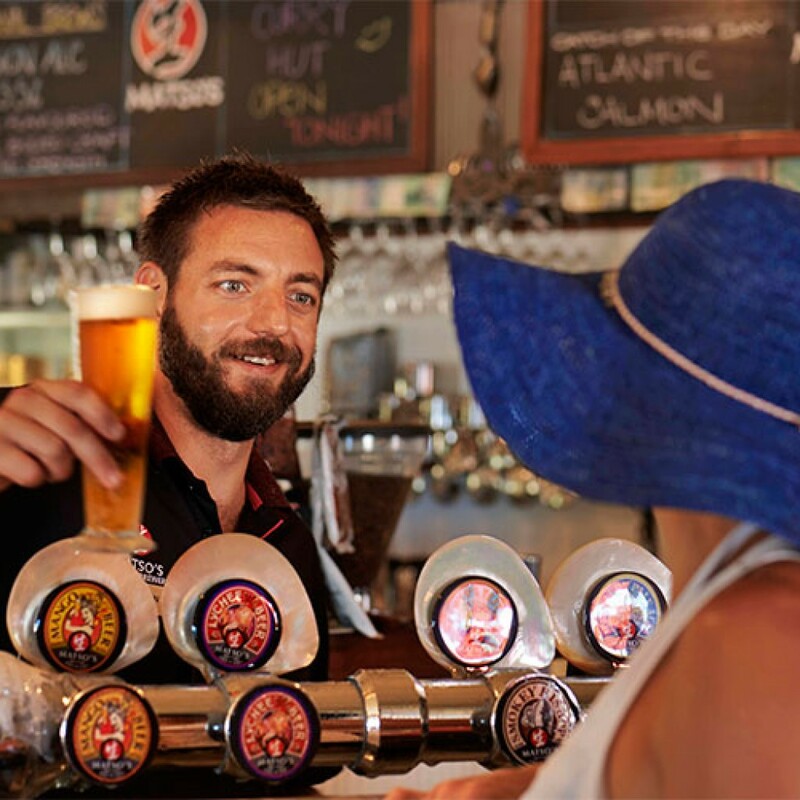 We then stop at Matsos Broome Brewery to sample their hand made ales and famous ginger beer (complimentary tasting included). 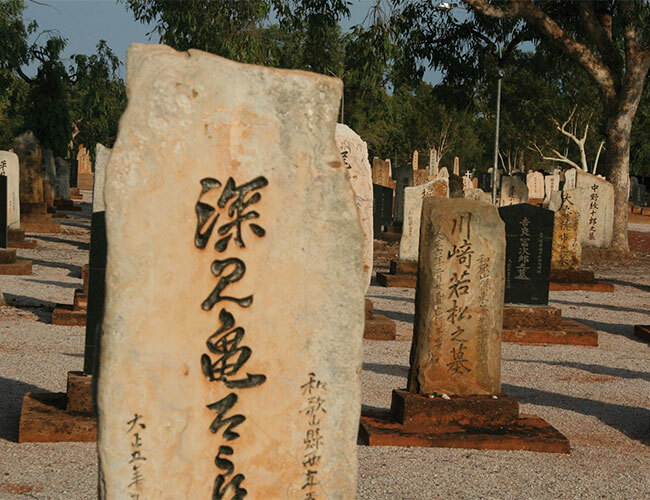 Afterwards, visit the tranquil Japanese Cemetery and take an easy paced walk at Gantheaume Point known for dinosaur footprints and the story of Anastasia’s Pool. 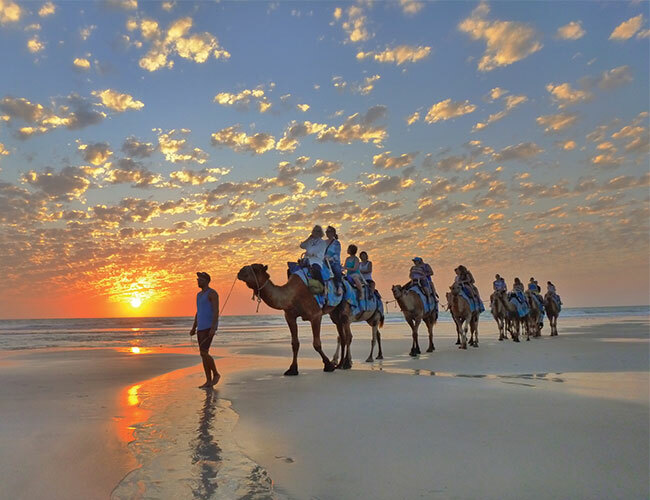 Those who have chosen a Sunset Camel Ride will then head north of the rocks to meet their camel for this iconic Broome experience. 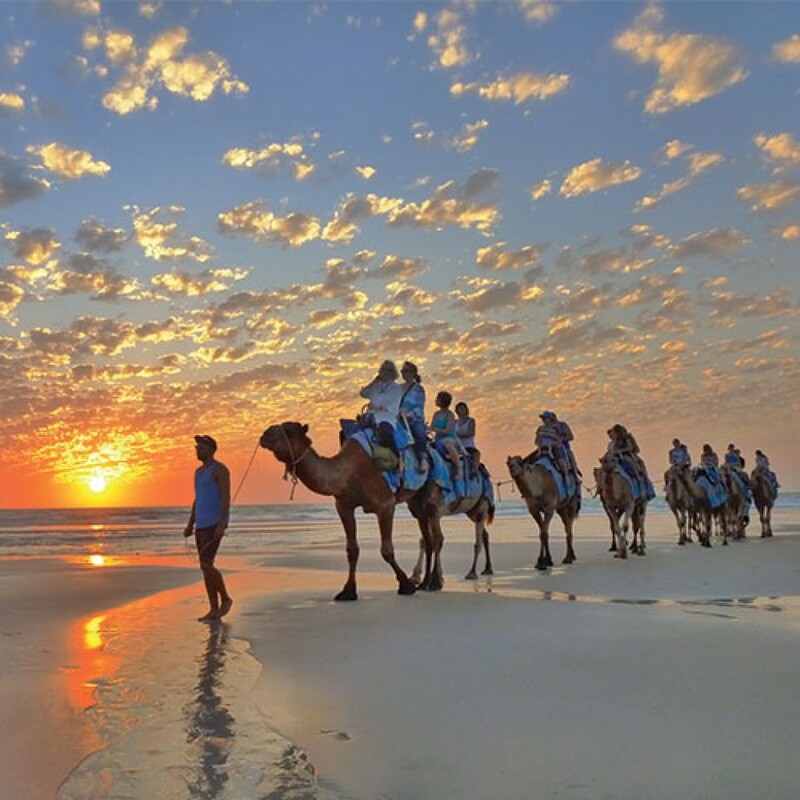 Those who have chosen the Sparkling Sunset option will drive down onto Cable Beach for sunset (subject to beach conditions). 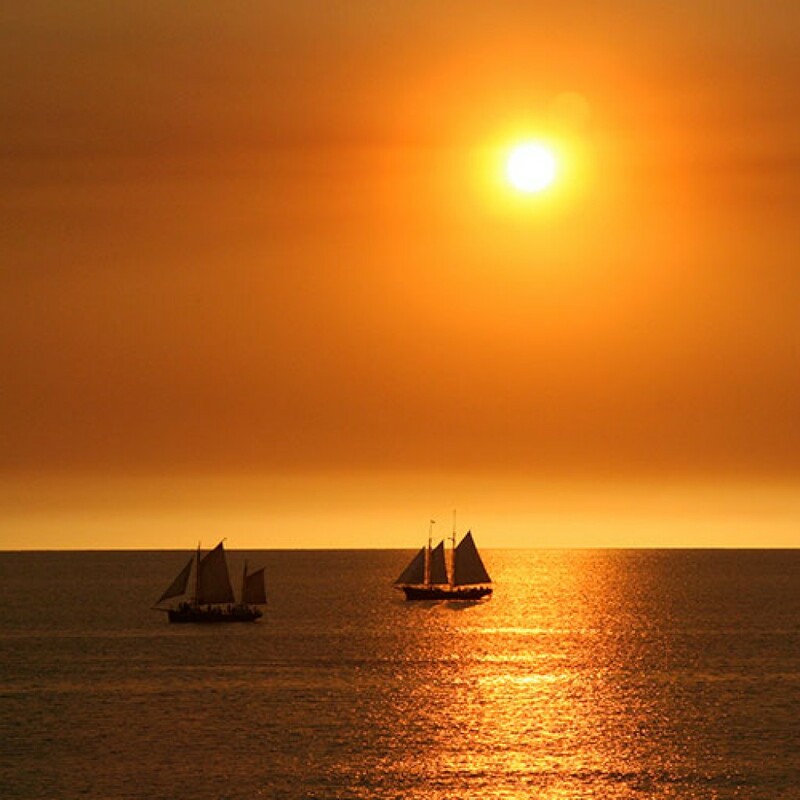 Relax and enjoy a stroll, swim or light refreshments (included) as you watch the sun disappear into the horizon. 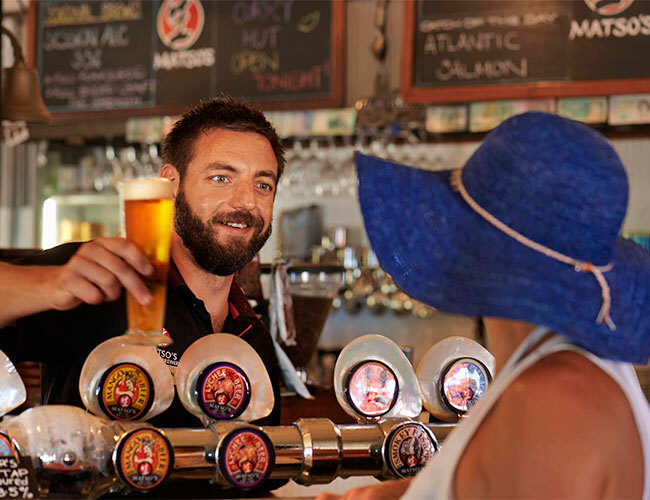 A drop off to your accommodation is provided or you may like to enjoy a cocktail or dinner at one of the nearby cafes at approximately 6.00 pm. 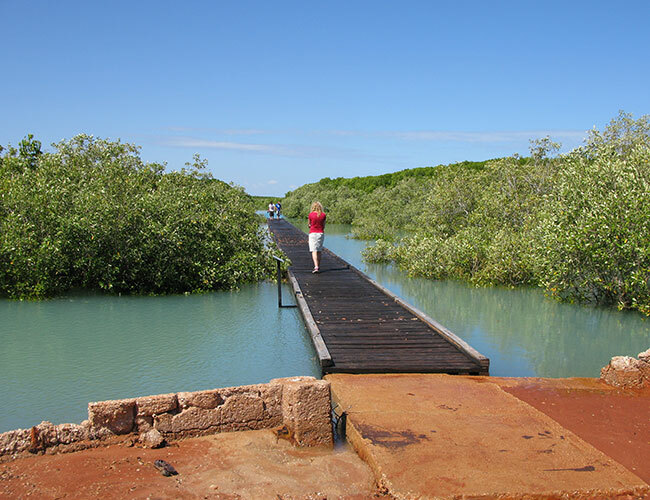 The 1/2 Day Broome Sights Adventure departs daily (except Sundays), from April to October. 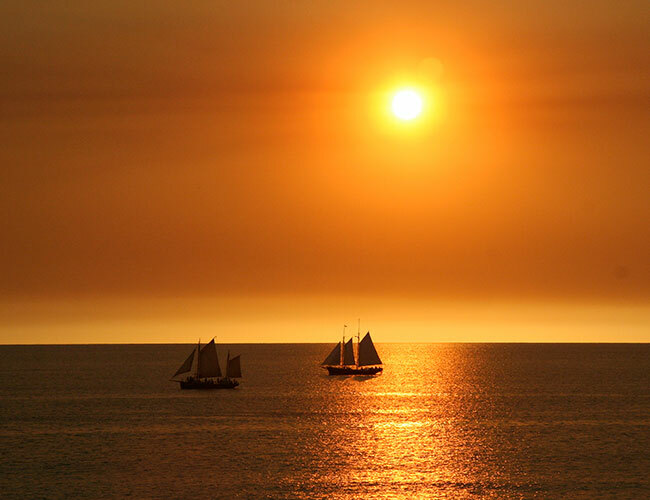 From November to March, departures are scheduled for Tuesdays & Fridays only. All scheduled departures require a minimum of 6 travellers to proceed. 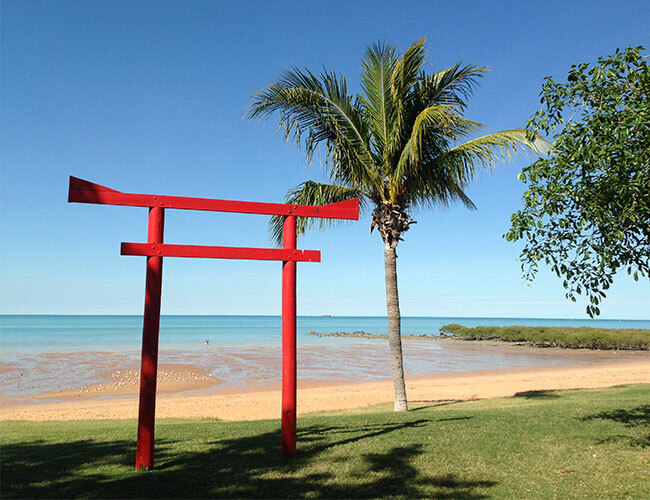 We operate our 1/2 Day Broome Sights tour in a comfortable 33-seat 2WD coach, with air conditioning, seat pockets and footrests. Camel rides are subject to a maximum 90kg per person body weight limit. 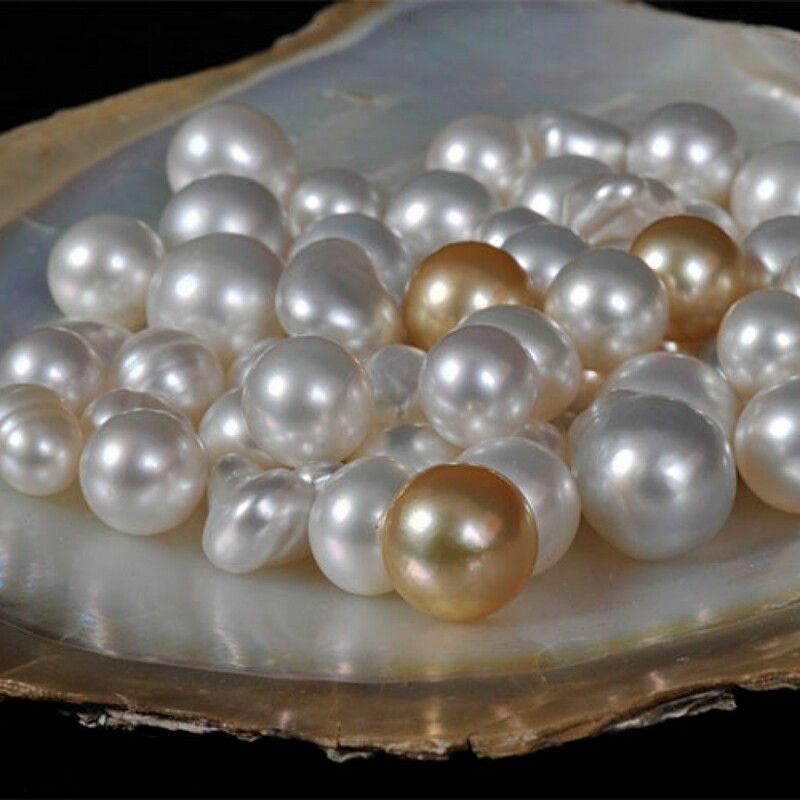 The real dinosaur footprints can only be viewed at extremely low tides.